A free print guide helps Bermuda's visitors find their way around. It includes maps of the City of Hamilton, Royal Naval Dockyard, Town of St. George and more. It has stops for the services shown below, including bus and ferry stops, gas stations and where to park. Copies are available from Visitors Service Bureaus. New residents and locals should refer to Bermuda Road Transport for Locals. 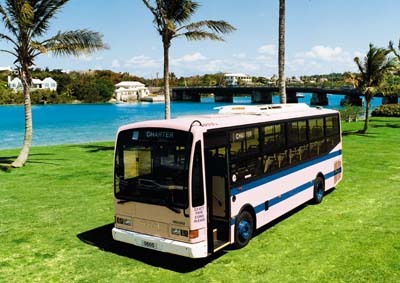 No Bermuda hotels are served by public-service buses carrying guests and their luggage from or two the airport. Only in Bermuda is this not allowed by law, to protect the exclusivity of Bermudian taxi drivers. No Bermuda hotels is allowed to directly collect their guests from and back to the airport. Only in Bermuda is this not allowed by law, to protect the exclusivity of Bermudian taxi drivers. However, as a way around this, hotels are allowed to contact minivan owners and can contract with them to collect their guests from and take them back, later, to the airport. The minivans concerned are 8-12 passenger vans examined, passed and re-licensed annually by the Bermuda transport authority (Transport Control Board), and insured by a Bermudian insurance company. They carry passengers (except the disabled in wheelchairs) to where the buses don't go, by prior arrangement before arriving and on departure, to specific places. Public pick-up services are not allowed. Not yet island-wide, but some services via a tiny Renault Twizy electric car for two people only are being offered from 2017 from some accommodations. Cost $100 plus $30 for insurance per day. Ask at where you are staying if they have facilities including charging points for them. Until the laws were relaxed, see below, visitors were not allowed by the Bermuda Government to rent automobiles or operate any other kind of four or more wheeled vehicle on Bermuda's roads, or bring their own motorized 2-wheel vehicles - not even for the handicapped or disabled. Why not? Bermuda's very small physical size - less than 21 miles in total land area and sixth largest population per square mile in the world, higher than in Bangladesh and Bahrain and exceeded only by Gibraltar, Hong Kong, Macao, Monaco, Singapore and Vatican City (all of which do have rented cars available for visitors). Nor are visitors, even when they have driving licenses issued by their home state or province or country, allowed to drive any relative's cars in Bermuda. Foreign drivers licenses are not legal in Bermuda. Also, Bermuda has by far more vehicles per square mile than anywhere else in the world - all of which must be insured for at least 3rd Party by a Bermudian insurance company licensed and registered to offer insurance business. 2017. May 3. All electric minicars could be available for rent at the Hamilton Princess from as early as the weekend. The news came as Current Vehicles handed over the first of 25 two-seater Renault Twizys to the hotel. “It’s about giving our visitors what they want — the chance to explore Bermuda on their own, meet locals and experience our way of life,” said Piers Carr, chief executive officer of Current Vehicles. He quit a job as a broker in the reinsurance industry to launch Current Vehicles. “I saw a great opportunity to help our visitors get around the island and we’re very much behind pushing any electric vehicle we can because it’s a necessity for Bermuda going forward.” Now the vehicles will be introduced at the Hamilton Princess before going to smaller hotels, guesthouses and Airbnb properties across the island. The Hamilton Princess will have 25 of the vehicles, expected to rent at around $79 per day, compared to about $66 for a livery cycle, and Mr Carr said another 25 were en route to Bermuda. Mr Carr said: “Having spent enough time here, you see the demand for something a little safer — scooters are not for everyone. The Twizy keeps you dry, it’s electric and it’s just safer. It’s about improving safety. We can brand them and it will be beneficial to Bermuda — people will take pictures of them and upload them to social media and that’s a great way of getting our name out there as well as Bermuda’s.” Mr Carr said the booking process can be carried out online, with confirmation including safety information, Bermuda rules of the road, parking regulations and how to charge the vehicles and operate them safely. “Before tourists even land here they are initiated in the best ways of using our roads. We have had a great response from the public looking to rent these vehicles, but this is strictly a tourism initiative.” He added the Twizy, launched in 2012 and a bestseller in Europe, had “a great track record. It’s used by the police service in some countries — it’s reliable. The fire department have a few in Dubai.” One is now on display in the lobby at the Hamilton Princess. Allan Federer, general manager of the hotel, said: “Many of us in the hospitality industry, as well as many tourists to the island, have been waiting for this moment for a long time. The launch of this new service marks a new era in transportation for tourists. I would even go as far as to say that the launch of Twizy will be a game changer for tourism. It is incredibly important that we introduce these to meet the demands of our guests. Having these four wheel vehicles available will increase interest not only in the hotel, but across Bermuda as a whole. This new service coincides with continued efforts to offer a world class tourist experience in Bermuda. As one of the last tourist destinations to introduce a rental car option, this positions Bermuda well to continue to answer the needs of today’s travelers.” Chargers and special parking places will be available in the parking area at the Princess, with recharges included in the rental price. Twizys recharge in three hours and have a range of more than 80km, making all parts of the island accessible on a single charge. The car, designed by Renault’s Formula 1 team, has seatbelts, a driver airbag, side impact protection bars and a special tubular chassis for rigidity. The vehicles are expected to be cleared for road use within the next few days. 2017. May 2. Bermuda’s first electric microcars were yesterday unveiled at the Hamilton Princess. 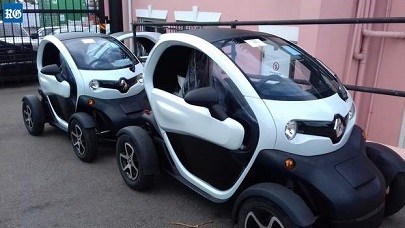 The hotel will be the first on the island to offer its guests the French two-seater Renault Twizy as an alternative to the traditional scooter. A total of 25 cars will be available at the Princess, supplied by new company Current Vehicles, which has also supplied Twizys to the Groupama Team France America’s Cup team. Allan Federer, general manager of the Hamilton Princess and Beach Club, said: “We are thrilled to be able to offer this new amenity. Our aim is to provide our guests with the best amenities possible during their stay on the island. However, transportation has been a challenge for those who are not comfortable riding a scooter. Twizy allows all of our guests to explore the island on their own. We think it is a superb addition to the hotel and to Bermuda.” John-Paul Doughty, director of operations at Current Vehicles, added: “We are excited to offer visitors the safest, greenest, and most enjoyable way to travel around Bermuda. These vehicles are safe and accessible and a good choice for those who are not comfortable on a scooter, but still want the freedom to explore the island on their own itinerary. And they are a lot of fun to drive.” The cars, which boast seatbelts, an airbag and side impact protection, can be booked online and Current Vehicles have installed charging stations at the Princess and Beach Club. 2017. April 21. The French America’s Cup team are putting ten minicars on the road after new regulations allowing the vehicles — which faced a tough reception last year in Parliament — came into effect. 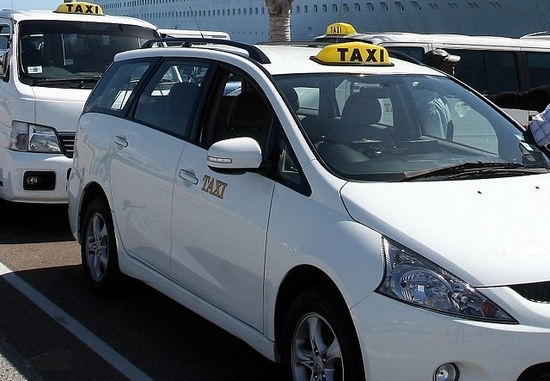 Initially, taxi drivers protested against the new vehicles and the Progressive Labour Party mistrusted the move to allow what Minister of Tourism, Transport and Municipalities Senator Michael Fahy called a “viable and safe” rental alternative for visitors. Last week The Royal Gazette reported the arrival of Renault Twizys imported by Eurocar, now up for use by Groupama Team France. It is understood that the miniature vehicles will ultimately go to hotels for use by visitors after the sailing is over. The legislation, announced last July, initially proved a difficult sell, with taxi drivers protesting that the move posed unwelcome competition for their industry. But their modest engine size and limited capacity for luggage made them unlikely rivals for cabbies, Mr Fahy said. A “long period of consideration and consultation” led to the regulations, covering licensing and running of minicar liveries, to become law. The 2016 Bill prompted a weekend work stoppage, as well as a demonstration outside Parliament by about 30 taxi drivers, followed by a series of meetings before the regulations were agreed upon in November of last year, with the Motor Car Act 1951 subsequently amended. It was ultimately approved by the Senate on December 12, 2016. The vehicles allowed are covered two-seaters, no more than 60 inches wide and no more than 115 inches in length. While many visitors rent vehicles, Mr Fahy said not all were comfortable taking to the roads on an auxiliary cycle or moped. The regulations set the terms to apply for livery licences, and set standards, including the requirement for public liability insurance. The vehicles will be subject to Transport Control Department inspection, with a yearly check between January 1 and March 31. Similar to rental cycles, minicar licence plates will bear red lettering on a white background, at both the front and back of the car — with stickers warning drivers to keep left. “At present a minicar can only be on the road for five years but, as minister, I have the discretion to extend that period provided the vehicle continues to be in good shape,” Mr Fahy said. “Every livery operator must have a qualified driving instructor on staff to demonstrate the use of the minicar and that person will sit in the minicar when the renter takes it for a ‘test drive. TCD will qualify the instructors to ensure they provide the driving instruction that you need for the minicar.” Safety instructions will include the basic rules of Bermuda’s roads, the speed limit of 35kph, and the strong penalties for impaired driving. 2017. April 12. A consignment of hi-tech electric microcars has arrived in Bermuda. The Renault Twizy cars were delivered to Hamilton Docks yesterday for importers Eurocars for onward transfer to a rental company. Eurocar yesterday declined to comment on the final destination of the vehicles. The Twizy, first unveiled in 2012, was designed as a city car, with a tandem two seat configuration. It became the top-selling plug-in electric vehicle of 2012 and by the end of last year more than 19,300 had sold, with Europe its biggest market. The Spanish-built cars are 7ft 7in long, with a width of 3ft 1in and stand 4ft 6in tall. The frame and body are designed with a deformable structure to protect occupants, while the outboard position of the four wheels and lateral beams either side of the chassis provide protection against side impacts. Twizy drivers have an airbag and seatbelts are fitted on both seats. The range includes two models, the Urban 45, powered by a five horsepower engine and a top speed of 45km or 28mph. The more powerful Urban 80 has a 17 horsepower engine and can reach 80kph or 50mph. The batteries have a range of 100 kilometers, or 62 miles, although Renault drivers in real world conditions could expect a maximum range of around 50 miles. The car was certified by Transport Canada last March for use on the country’s roads. 2016. November 26. Bermuda's Parliamentarians have approved legislation that could see rental minicars introduced in Bermuda for the first time. The Motor Car Amendment (No 2) passed without any objections in the House of Assembly yesterday, despite Opposition MPs decrying its lack of regulations as well as the potential impact on the taxi industry. Meanwhile, Government MPs maintained that the small covered vehicles, capable of carrying a maximum of two passengers, would offer business opportunities for entrepreneurs and safer options for visitors. After the debate, which lasted more than four hours, Michael Fahy, the Minister of Tourism and Transport, said he was “very pleased” the Bill had passed. “This brings us a step closer towards the introduction of minicars in Bermuda which will enhance our tourism offerings and move our tourism product forward and make us far more competitive with other tourism destinations,” Senator Fahy said. “We have taken into account the concerns of our transportation stakeholders and are pleased to have found broad agreement in the size and specifications of minicars. Having spoken at a number of international tourism events there is real excitement in the tourism industry about the likelihood of this offering being successful. “I look forward to the Senate debate when I will be able to expand further on the benefits of this new amenity and the consultation that was undertaken which should add clarity to some of the misleading statements made by the Opposition during the debate in the House.” Grant Gibbons, the Minister of Economic Development, opened the debate announcing that ten makes of vehicles, none of which would exceed the capacity of 150cc, were considered appropriate for local roads, including three-wheeled vehicles and quadricycles. Dr Gibbons told the House that augmenting the existing rental choices for visitors was key to maintaining the island’s competitive edge. However, Lawrence Scott, the Shadow Minister of Transport, replied that the Bill was seen by the Opposition as “the thin side of the wedge for allowing full-size rental cars” — saying that the island’s debate in the 1940s over the original introduction of cars had included dividing up the automotive market. “Behind the scenes they were trying to figure out who got what dealership,” Mr Scott said, adding that some taxi owners still opposed minicars, and had not been consulted. Progressive Labour Party MP Derrick Burgess maintained that Bermuda was too small and already “saturated” with vehicles, while PLP MP Jamahl Simmons berated Mr Fahy for his consultation efforts with taxi drivers. PLP MP Rolfe Commissiong also raised questions why electric-powered vehicles were not being championed in the legislation, describing the proposal of using vehicles that emit greenhouse gases as “an opportunity missed”. David Burt, the Leader of the Opposition, added: “The Government cannot seem to get it right when it comes to consulting or communicating or understanding the fact that you need the support of the people before you move things forward. The first time they got taxi drivers to drop tools.” Independent MP Shawn Crockwell threw his backing behind the Bill, saying: “Tourism is about what our guests want, it is not about our comfort. Let’s look at this as adding to the experience for our guests.” Meanwhile, Sylvan Richards, Minister of Social Development and Sports, described it as “a matter of life and death — it’s a safety issue for our visitors” that would deliver new business opportunities for Bermudians. OBA MP Leah Scott acknowledged that the Government could have done a better job in conveying information about the initiative to the public, but maintained “we should all support it”. OBA MP Glen Smith also supported the Bill while assuring the House that his own auto business had no deals in the pipeline. Public Works Minister Craig Cannonier insisted that the entrepreneurial opportunities “do not have an agenda”, and OBA MP Mark Pettingill called on the House to embrace offering a greater range of visitor amenities. Summarizing an at times heated debate, Premier Michael Dunkley chastised the Opposition for their “tired and typical” approach of knocking down government legislation. “Everything we do is with a view to making all Bermudians’ lives better.” the Premier said. “We can work through the challenges; this Bill is a very positive step for the people of Bermuda. Readily available but be warned these machines - rented (not personally locally owned) mopeds or scooters - on the hugely busy roads are not recommended for anyone who has not driven them before habitually on the left hand side of the road. Auxiliary cycles for tourists - so called because they are limited to 50 cc (cubic capacity) in size but are powerful enough to go up Bermuda's many hills. They are examined, passed and re-licensed annually by the Bermuda transport authority (Transport Control Board), and insured by a Bermudian insurance company. Mopeds and scooters can be so dangerous to those not accustomed to them that some cruise ships disclaim all responsibility and warn their passengers accordingly. Mopeds have larger wheels than scooters and are safer. The minimum age to ride one is 18 if you are a visitor, 16 if a local, and proof of identification and age may be required. Electric starting vehicles are advised, even though they may be more expensive than kick start models. They carry one or two persons. No licenses are required by visitors but all rentals are entirely at your own risk. Visitors who use rented mopeds or scooters and are not used to them incur the most common form if injuries to visitors while in Bermuda. All who come from the USA, Canada, Europe and other places will find it very confusing to drive in Bermuda on the left side - not the right - of the highway. With all the turn signs on the "wrong" side also. Make sure you first have adequate travel and accident/medical insurance covering yourself. If you don't buy it before you leave home your vacation or visit could be spoilt. Tourists and visitors won't have any Bermuda-issued health or travel or accident/medical insurance. It is not sold where you rent a bike. Bermuda hospitals won't pay for your hospital or doctors' visit in the same way that American hospitals don't. Don't invalidate your insurance by not wearing a helmet or not fastening it properly. At where you rent a bike, the vehicle insurance supplied - on a compulsory, not voluntary basis - is to cover any third party person or property involved in an accident or injury, not you. Safety helmets - specifically those approved for use in Bermuda - are required for each driver and passenger. Ask for the safest type. Rental fees usually include your use of a lock and helmet for each passenger. Be sure to use the lock if provided, as moped and scooter thefts are rampant. Wear sensible clothing, in other words pants, not shorts, a long-sleeved shirt, not a short-sleeved one. Why? Because if you have an accident and fall off your bike, your knees, limbs and hands will hit the road and you could be badly bruised or cut or worse. You must rent one, you cannot bring your own on a visit. Never allow an infant or child under 16 to ride in front or back. If you damage someone's property, refuse to pay but let the rental company know immediately. Know how and when to refuel. Make sure you are told about the very high gasoline price of well over US$ 8.00 per per gallon. Some visitors think gasoline is cheap in Bermuda because they don't realize how small gas tanks are on scooters and mopeds and when prices are mentioned, tourists think it is gallons. It is not, it is in liters - about 0.25% of a gallon. to wear an improperly fastened or not locally approved helmet, yet many do and are injured. Always return the helmets when returning the vehicle. to operate a scooter or moped if you are over the legal limit and drunk. The Selective Driving Enforcement Program is a methodology to stop, book and indict drunk or drug impaired local and visiting drivers, people who overtake dangerously by weaving in and out of rush hour traffic, speeders, not yielding to traffic on the other side of the road, backing up without looking, those without or with improperly fastened helmets and those with faulty vehicle lights. Keep arms and legs covered because if you fall you will likely incur a possibly nasty road rash or worse that may require medical attention or a visit to the hospital. Drive on the left and continue on the left when you turn. Obey the speed limit of 35 KM per hour (22 mph). Or at least don't go any slower than other traffic going your way. Most visitors go too slowly for locals and are passed routinely, often dangerously. It makes things worse when you are with a spouse or friend or partner and try to go both too slow and two abreast. Those who do not obey the speed limit should know there are speed cameras in operation. If you go more than 50 KM an hour, you run the risk of being stopped by Police and given a ticket, payable by you or the owner of the vehicle. Overtake on the right - never the left - and return to the left-hand lane after overtaking. Turn left at roundabouts and always give way to traffic on the right. This means stopping or slowing down because such traffic always has preference in the right of way. If you are involved in an accident, call the police. If you see an accident of any vehicle, immediately contact police and if necessary ambulance by phone at 911. Do not move accident victims. Get names and addresses of those involved and witnesses. This is the law. Do not use cell phones while driving. Give way to Police cars, fire engines and ambulances sounding alarms. Always use headlights in poor weather and at night. Traffic lights are red (stop); amber (stop); green go, if safe to proceed. Red signals do not allow you to proceed left or right if the road is clear, wait for lights to turn green. Be very careful of crosswalks (pedestrian crossings to those from the UK), where pedestrians have the right of way. They are painted in a zebra pattern. Once pedestrians have stepped out on them, all vehicles must stop to let them pass. If you fail to stop and are seen by Police, you will be prosecuted. Do not park, not even for a moment, at any bus stops on or off the road; or anywhere there is a yellow line in the middle of the road. So many tourists do. It infuriates bus drivers who cannot park in bus stops and persons lined up behind them on Bermuda's very narrow roads. Unless you are disabled yourself and carry a sign proving you are so and personally have the proper permit, do NOT park at any Handicapped or Disabled Parking space, not even for a moment. Visitors from the USA especially will know how tough their own laws are back home about parking illegally in a disabled-only parking area and abusing the system locally will get you some extreme unpleasantness. For your own protection, don't leave for a moment anything valuable like credit cards, hand bags, jewelry, money, passports, watches, wallets, etc. unattended while you are on or off the machine. Also ensure you do not ride with your hand bag or shopping not locked in your machine's basket while you are in transit. Know that even locked compartments on mopeds are not safe from local thieves so make sure you always take your wallet, credit cards and other valuables with you instead of leaving them unattended, even in a locked compartment. Local roads often have very heavy traffic - most travel agents overseas will not tell you that Bermuda has more cars and motor vehicles per square mile than anywhere else in the world - and too many people who drive too fast and dangerously, plus they punctuate their journeys by car or scooter or moped with drivers hooting and waving at all their friends passing in opposite directions. Avoid Bermuda weekday rush hours and the "crazy hours" after midnight and other times when young Bermudians drinking or on drugs drive recklessly at high speeds in cars or on pack-racing mopeds, at considerable danger to themselves and other road users. Main roads have been closed completely for up to 7 hours after road accidents. Many Bermudians totally ignore Government noise controls on their vehicles and illegally soup up engines on mopeds especially to make them sound as high as a jet aircraft overhead. When these vehicles pass you at illegally high speeds as well, the combination of speeds and noise can easily result in traffic accidents, sometimes severe, or stress, or temporary or permanent loss of hearing or complete deafness. Note that in the summer months when the heat and humidity can be very high, cycling in Bermuda can be strenuous. It is not recommended for those not used to regular exercise in heat and great humidity. Nor is it serene on Bermuda's narrow roads, with so many buses, cars, mopeds and scooters and trucks per square mile all anxious to pass you,. Bermuda is not flat but hilly, with some hills very steep. Several places rent these by the day or week, with safety headgear. See under our Bermuda Employers. 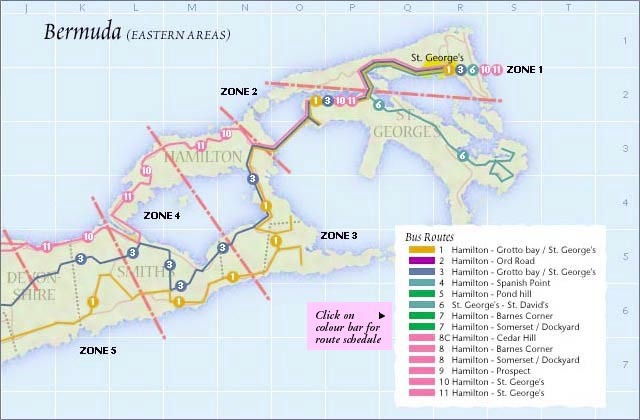 With bicycles you can explore much more of the fabled Bermuda Railway Trail than by walking. They are the only vehicles allowed on the Trail. They are allowed to have saddle bags but are not allowed to tow trailers. There are no country lanes for rural cycling. All roads are urban and the main roads of North Shore Road, South Road, Middle Road and Harrington Sound Road are one lane each way but are Bermuda's equivalent of interstate highways or trunk roads. To avoid holding up licensed motorized traffic, try not to use unlicensed cycles on the main roads during rush hours. A variety of licensed boats, excursion and party type, take visitors into the Great Sound, Little Sound, Castle Harbor and other routes to see the sights. Most of the operators are based in or near the city of Hamilton. But if you wish to go by yourself, or in a party of up to four, in one boat, your choice may be limited to a 13 foot Boston whaler with a 15 horse power outboard engine, to see and explore as you wish. Unfortunately, in recent months and years, tourists and visitors have expressed dissatisfaction with the bus service. Visitors by air and cruise ships have described it as "now notoriously internationally unreliable" after experiencing a constant series of sudden, constant, cancellations of buses from wildcat strikes. Many tourists cannot afford more than an occasional taxi ride which limits access to the many island amenities. With Bermuda one of the very few places in the world not allowing normal-size rental cars and being the single most expensive place in the world for tourists to visit, they expect a compensatory package of a decent public transport services. They have complained about it in Bermuda, on cruise ships and overseas websites galore and on social media. Operated by the Bermuda Government's Department of Public Transportation, email info@dpt.bm - established in 1946 (see Bermuda Government Boards) - at 26 Palmetto Road, Devonshire DV 05, Bermuda. Mailing Address: P.O. Box HM 443, Hamilton HM BX, Bermuda. Telephone: (441) 292-3851. Fax: (441) 292-9996. Email: info@dpt.bm or charters@dpt.bm for charters (corporate or ships, etc. hire of a bus or buses). Buses first appeared in Bermuda in April 1945 as the Bermuda Omni Bus Service, a division of the Bermuda Railway Company. Before then the only public transportation were trains and ferries. Unlike heavy trucks imported to carry containers, which are too wide for Bermuda's roads, Bermuda's imported buses are designed specifically to fit the roads. All Bermuda buses run on diesel fuel only. All custom-built in Europe, costing well over $400,000 each. They carry 32-34 seated passengers, up to 65 standing. They are made by German/Netherlands/Belgian manufacturer Berkhof Jonkheere. There are plans to replace Bermuda's diesel buses with electric ones. 2019. January 12. The island’s new winter bus schedule has hit another bump in the road. Fresh talks were held yesterday amid staff concerns about the off-season schedule, which was due to be introduced on Monday. That deadline was pushed back two weeks to January 21, but has again been postponed. Glenn Simmons, of the Bermuda Industrial Union, told The Royal Gazette: “We are not totally resolved, but we are still in the works trying to work things out.” Mr Simmons declined to discuss the specific concerns of unionized Department of Public Transportation staff. He added: “We are trying our best to come up with something very viable for the general public of Bermuda and our tourists, our seniors and everybody as a working class, working with the DPT team as well as the minister of transport.” Mr Simmons was speaking after he met Zane DeSilva, the transport minister, Roger Todd, director of the DPT, and ministry officials at the BIU headquarters in Hamilton. Mr DeSilva hoped any problems with the new timings, which took 17 years to agree, would be resolved. He added: “I appreciate the work that Roger Todd has put in along with the union and I’m hopeful that we will come to a happy space.” The meeting came one week after the implementation of the schedule was delayed. Mr Todd said at the time it had been pushed back to “ensure that all relevant stakeholders and the general public were well informed of the scheduling change”. The new schedule was announced in the middle of last month, when it was claimed it would cut down on cancellations because of bus shortages. Chris Furbert, the president of the BIU, said it was a “great day”. He added: “It’s taken 17 years for us to devise the new bus schedule.” The present schedule, which has been in place since 2001, has suffered cancellations for months because of the island’s ageing and unreliable fleet of buses. The new winter schedule will run for one year. Mr Todd said when the new timetable was launched that the schedule’s performance would “be assessed and adjustments made as required”. A government spokeswoman said last night that the DPT and BIU were trying to address concerns about bus rosters that included multiple night shifts. She explained: “Meetings held today between the DPT and BIU led to a better understanding of the night work issues — an area of much uncertainty and contention in the past. While the effective date for the bus schedule is no longer January 21, 2019, the 2019 winter bus schedule will remain unchanged. More information regarding a new effective date will be forthcoming.” She added: “The DPT and the BIU look forward to making necessary changes as soon as possible that will position the bus service to better serve the public.” The spokeswoman said the timetable could be viewed online gov.bm/bus. Buses in Bermuda can be frequent by day compared to most other urban, town and city places in North America and rural, urban and town places in the United Kingdom. Only in UK cities (not towns) is there a more frequent service. Timetables are available free of charge from the bus terminal in the city of Hamilton and sometimes from drivers as well. All Bermuda bus stops are marked by poles painted - like the buses - in pink and blue. They are all "request" stops which means that if no passengers are waiting to get on or off at a particular stop, the bus driver will not stop. 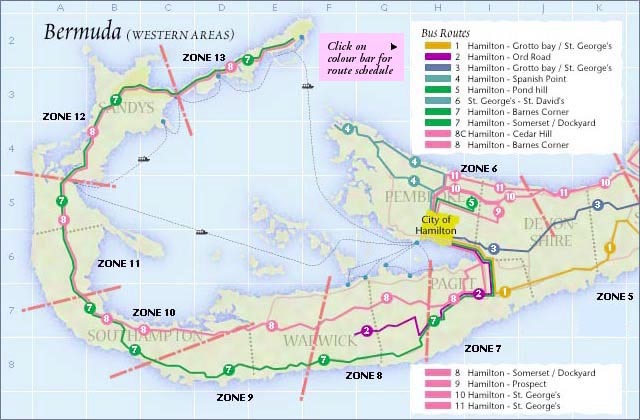 If the pole by the bus stop is PINK, the bus will be traveling towards the city of Hamilton. If the pole is BLUE, the bus will be traveling away from Hamilton. If a bus passes you without stopping, it may be full. This happens frequently when cruise ships are in port. Their passengers often crowd the buses. Sometimes, they or local commuters have to stand in a narrow bus aisle on sharply winding roads. All buses have buzzers for passengers. Press the buzzer at least 150 yards before the bus stop you want. If you don't know when to press the buzzer, tell the driver when you get on the bus where you want to get off and ask for help, if possible, given traffic conditions. Buses don't have overhead racks or luggage compartments. While one service goes close to the airport, it will not take passengers with luggage or suitcases from or to the airport. (Only taxis or limos or minivans will do so, by prior arrangement). Nor can buses take baby strollers or prams or golf clubs. Bags larger than flight attendant bags will not be accepted. Umbrella strollers only are allowed. All shopping bags must go under the seat or on your lap. Accessibility. Bermuda buses are not equipped to take disabled in wheelchairs or those who cannot get on or off the bus unaided. Unlike in most other countries where many buses are accessible, Bermuda's buses not low floor type, do not offer access to wheelchairs, do not have specifically designated for persons with mobility impairments, the elderly and frail. Nor do they have electronic information highlighting the next bus stop. However, most buses are air conditioned. Senior Citizens/Disabled who are local, have a Bermuda Special Persons Card. and who can use a bus (not for those in a wheelchair, see Disabled), free passes are available. Seniors from abroad without such a card must pay full price. There are no signs for reserved seating for the walking (ambulatory) disabled as there are in London and other city and urban buses. State your exact destination when paying cash or purchasing tokens or tickets. Visitors using cash, tickets or tokens (not passes) and having to change buses to get to a particular destination should ask the driver of the first bus, as soon as they board, for a transfer, to avoid paying another fare on the second bus. A transfer is valid for 30 minutes for the next scheduled trip of the connecting route and should be presented to the driver of the second bus when boarding. No paper money is accepted. Only coins (exact change is required) or valid passes, tokens and transfers (only at established points). No wet clothing, no bathing suits, proper attire only. No eating or drinking or more than a single aisle of standing passengers. Payable by local passengers and visitors by air or cruise ship. Bus schedules are timed for operators who drive at 35 kph (21 mph). 2019. March 23. The new bus schedule has 50 buses on the road at peak times but a temporary reduction in frequency while the ageing vehicles are repaired or replaced, MPs heard yesterday morning. Zane DeSilva, the transport minister, said the first of eight new buses had arrived last month. The second is expected to arrive next month and one new bus every three weeks is scheduled to go into service until August. Mr DeSilva said there will also be “real time passenger information” provided online this year. He added a request for proposal had been completed for digital payment of fares. 2019. January 4. A new bus schedule has been pushed back two weeks from its promised start date of next week. The Department of Public Transportation announced yesterday that the winter 2019 schedule planned to start on Monday would now be introduced on January 21. The department said that the revised start date “will ensure that all relevant stakeholders and the general public are well informed of the scheduling change”. Roger Todd, the director of the DPT, added: “The production and dissemination of information for the public is key to this process and involves multiple entities and vendors. With due consideration for the public and the time required to properly communicate the new schedule, we are taking time to ensure this is done effectively.” The schedule will be available on the Government’s website from Monday. The DPT added that print copies of the schedule will be available at the Central Terminal in Hamilton and “other key locations” from January 14. A spokesman for the transport ministry told The Royal Gazette last month that the full schedule would be released “before the new year”. He added: “The data is currently in its raw form and will be aesthetically modified for public consumption.” The spokesman claimed that the new schedule would cost less to run than the old timetable, but could not say how much would be saved. He said: “I don’t have this figure. It will take some time to quantify.” Transport minister Zane DeSilva announced the new schedule last month. He unveiled the schedule flanked by Mr Todd and Chris Furbert, the president of the Bermuda Industrial Union. 2018. December 17. A new winter public bus schedule will cost less to run than the old timetable, a government representative has claimed. But the spokesman for the Ministry of Transport was unable to confirm how much would be saved. He said: “I don’t have this figure. It will take some time to quantify.” The spokesman was speaking after questions from The Royal Gazette about the new schedule, which is expected to come into force on January 7. A list of 13 highlights of the new timetable was revealed at a press conference last Thursday. Roger Todd, the director of the Department of Public Transportation, said that the full schedule would be published “in the coming weeks”. The ministry spokesman said that full details would be released “before the new year”. He said: “The data is currently in its raw form and will be aesthetically modified for public consumption.” Mr Todd said last week that the new schedule would be implemented “for an initial period of one year”. He added: “Performance of the new schedule will be assessed and adjustments made as required.” But Leah Scott, the shadow transport minister, questioned why the schedule would have such a short run. She said: “If there is a schedule that has been voted upon and agreed by the members, then why is the new schedule only being implemented for an initial period of one year?” Chris Furbert, the president of the Bermuda Industrial Union, said agreement on the schedule was a “great day”. He added: “It’s taken 17 years for us to devise the new bus schedule.” But Ms Scott said: “The truth is we could have had a great day in either 2014, 2015 or 2016, as that was when the last round of discussions occurred and a new bus schedule was agreed between the Department of Public Transportation management and the BIU leadership.” Ms Scott added: “However, the schedule was rejected at a vote. Hopefully, now that there is an agreed schedule, we can have better service delivery.” Ms Scott also asked what research had been done to establish the demands of public transport users. “It is hard to determine whether the schedule has been amended to accommodate Mr and Mrs Bermuda and other bus riders or it is made to accommodate the Department of Public Transportation. Good public transport should be efficient and reliable in getting residents and tourists where they wanted to go. Unfortunately, not all of those who make decisions about public transportation actually do use public transportation.” David Burt, the Premier, said that the cost of consultants’ advice to draft Bermuda’s new public bus schedule totaled $25,156 over the past two years. Mr Burt told MPs in the House of Assembly last Friday that the payments had been made to Canadian firm Schedule Masters. He said the changes to the schedule were “just step one in providing a more reliable and responsive service”. The figure was announced at the Premier’s question time after questions from Christopher Famous, a government backbencher. 2018. July 2. Bus drivers who worked to rule on the public holiday on June 18 broke the law, according to Walton Brown, the Minister of Home Affairs. However, unionized bus operators are now “talking through all their issues”, Mr Brown told Parliament. The work-to-rule industrial action, which was called off on June 22, came because of “an impasse over 12 outstanding issues”, Mr Brown said. Frustrations included ongoing maintenance problems with the ageing fleet. The details came in response to parliamentary questions from Opposition MP Patricia Gordon-Pamplin. She asked whether the longstanding contentions over developing a new bus schedule had been addressed. But Mr Brown told MPs that the scheduling issue was “beyond my ministerial responsibilities”. 2018. June 23. A work-to-rule that disrupted bus services more than a week was called off yesterday. Chris Furbert, president of the Bermuda Industrial Union, said industrial action at the Department of Public Transportation had been lifted “effective immediately”. Transport minister Walter Roban added: “DPT and the BIU have agreed to commence talks early next week to discuss policy issues that will assist in clarifying work practices, on both sides, going forward.” The DPT said it was working around the clock to restore the available fleet of buses to a normal schedule inside the next 24 hours. BIU members voted in favour of industrial action June 12. Mr Furbert said the move was the result of anger over problems that staff felt had not been tackled by the Government. He said some of the complaints — including the poor condition of the bus fleet — dated back “three to five years”. The Government has said it had met with the union about the members’ concerns. The work-to-rule resulted in hundreds of bus cancellations. Services came to a complete halt on Monday as the island celebrated National Heroes Day. The Government said 119 routes were cancelled before yesterday’s announcement. 2018. June 22. Residents and tourists yesterday vented their frustration over a work-to-rule at the island’s bus service. A 17-year-old girl said bus cancellations meant she and friends had to cancel their plans to visit the Parade of Bands in St David’s on National Heroes Day. The Southampton girl, who asked not to be named, said: “Me and my friends were supposed to go out, and we couldn’t do so. So we had to cancel all of our plans.” She said she often relied on the buses to get around — but the service was “unreliable”. She added: “It really does affect you because the timing and the bus schedules are most of the time off.” A 34-year-old man, also from Southampton, said the service had deteriorated since the work-to-rule started last week. He added the service, which he used as his primary transport, was “inconsistent”. He said: “When it’s running frequently, it’s not bad — it’s actually pretty efficient. But when it’s not, it could be a major inconvenience, especially when cruise ships are in.” But Keturah Trott, 15, said she had not noticed a difference in service since the work-to-rule began last week. The Smith’s resident said that she took the bus about three times a week and found the service reliable. A 64-year-old woman from Hamilton Parish said she rode the bus daily. She added she had not experienced problems either. But she explained that there was an hourly service on the route she used to go to work. She added: “The route that I use is not a heavily used route during the day.” Roger and Myra Harrison, from Indiana, said they had experienced problems with bus service since they arrived in the West End on a cruise. Mr Harrison added: “We were sitting at a bus stop and a lady told us that the next two buses had been cancelled.” He said the pair waited 45 minutes for the next bus. Mr Harrison added: “It’s not uncommon to have to wait half an hour. If you’re trying to get somewhere in particular and back at a certain time, you can’t count on it.” He said the couple had relied on the island’s bus service because taxis were “real expensive”. Gina Callahan, from St Louis, Missouri, predicted she and her husband Tony would spend less time at tourist spots because of bus delays and cancellations. The cruise ship passengers, on their first visit to Bermuda, said alternative transport was “too expensive”. Ms Callahan added the couple would “definitely have to be careful” about planning activities while transport services were disrupted. Mr Callahan said the bus service disruptions were “inconvenient”. Both couples said they had not known about the work-to-rule before they were approached by The Royal Gazette. A tourist couple from Maine, who were at the Hamilton bus station, said they were forced to change their plans on Tuesday after a bus failed to show up. The woman said: “We caught a cab instead.” Her husband added the pair had waited for “at least” a half-hour before they decided to take a taxi. But the man said Tuesday’s experience had not dissuaded them from using the buses. He explained: “We just adjust.” The Government announced yesterday that 65 morning bus routes had been cancelled. Another 110 routes were cancelled in the afternoon and evening. 2018. May 29. Two of four new buses expected to bolster the island’s ageing public transport fleet are on the roads. A Government spokesman acknowledged the increase of bus cancellations in recent weeks. Walter Roban, Minister of Transport and Regulatory Affairs, was asked about the status of the four new buses through the Department of Communications last week. In a response this morning, a spokesman said: “Two buses are on island and in service. The Department of Public Transport is consulting with the plant to reconfirm delivery dates for the remaining two buses.” The spokesman said the department was able to maintain a “reasonably satisfactory” number of buses in service over the winter, and there had been “relatively fewer” cancellations. But he added: “Unfortunately, cancellations have become more frequent in recent times, as the fleet continues to age. Wear and tear can generally account for the reduction in ‘in service’ buses.” The spokesman said the DPT is in the “early stages” of a plan to overhaul the 2009 series of buses with new transmissions, differentials and engines in an effort to reduce future cancellations. He said: “These parts have been ordered and when shipping dates are confirmed, DPT will be prepping the buses and working with MAN to schedule technicians to be on island to carry out the work. As in the past, we will use the opportunity to have DPT technicians work alongside the MAN technicians so that there is an exchange of information and knowledge.” Mr Roban announced that the first of four new buses had arrived on island on January 15. He said at the time that three more were “expected within the next four months”. The island has been hit by waves of bus cancellations since then. Chris Furbert, president of the Bermuda Industrial Union, last week said that bus drivers were upset with the condition of the bus fleet and concerned about the management team’s attitude towards the collective bargaining agreement with unionized staff. Mr Furbert was speaking after a meeting called by the BIU disrupted bus service on Thursday. Mr Roban said in January that “a substantial improvement in the status quo” for the bus service was expected in the “weeks and months ahead”. He added the new buses were being built to a “new standard of specification” suited to Bermuda conditions. Mr Roban said that the Government had also begun to “overhaul a number of the buses already on the island to breathe new life into them”. Mr Roban pegged the cost of the four new vehicles at more than $1 million, not including shipping and duty, in March. David Burt, the Premier, pledged $3 million to help improve the island’s battered bus fleet in the Budget Statement in February. Mr Burt said the $3 million would be used to buy eight new buses. Bus cancellations have been upwards of 90 routes on some days in recent weeks, including school bus routes. 2018. February 17. Premier David Burt has pledged $3 million to help bolster Bermuda’s battered bus fleet. The Premier and Minister of Finance said during his Budget Statement: “Rebuilding the bus fleet is a priority for this Government as we support public transport.” He said the $3 million would be used to purchase eight new buses. The money formed part of $64.2 million promised to the Ministry of Transport and Regulatory Affairs. Mr Burt said the funds would ensure the island “can have a reliable public transportation system on land and sea”. Transport minister Walter Roban told The Royal Gazette that he would answer questions on the announcement next week. Problems with the ageing bus fleet have led to daily route cancellations amid a shortage of operational vehicles. A fleet of minibuses was hired for school runs in the fall to supplement traditional buses. In December, a government spokesman confirmed that dedicated school buses would not run when the minibus contract concluded at the end of the year. Sandys resident Janice Battersbee began exploring the idea for a carpool scheme for schoolchildren amid the ongoing bus shortage. Ms Battersbee said yesterday the announcement of money for the new buses was “a positive step”. She added: “It would all be a step in the right direction based on what we’ve been experiencing. At face value, it’s a good thing.” Ms Battersbee said the poor state of Bermuda’s buses was not something that happened overnight. She explained: “It was a long time coming to this situation, so it’s going to take a while to get out of it. Nothing’s going to happen at the snap of a finger — and you’re talking about money. We have to be realistic about it.” Ms Battersbee said she had received a few new e-mails from people “who are enthusiastic” about her carpool idea. She said: “It’s good to know that people are interested. You never know when something like this might be needed.” Mr Roban announced last month that the first of four new buses had arrived on the island. At the time, he said that the remaining three vehicles were expected “within the next four months”. Mr Burt also pledged yesterday to upgrade the island’s fleet of trash trucks to “ensure the reliability of trash collection”. Figures provided in the Budget book showed that an average of seven trash trucks have been available for work weekly. The Ministry of Public Works was given a budget of $74 million, down $1 million from last year’s allocation. Mr Burt explained: “Most of the savings will be achieved by moving Government departments from private facilities, thus reducing the Government’s rental expenditure.” Works and Engineering has been allocated $30.5 million. Jonathan Starling, executive director at Greenrock, said he understood there would be a “substantial increase” to the repair and management budget for the Department of Waste Management. Mr Starling added: “If that’s correct, then I think that’s welcome. We won’t see the impact of that right away of course, and thus the switch to once a week collections.” Mr Starling said the group welcomed the “substantially” increased budget for recycling. He said: “I’m hearing it’s a 42 per cent increase, which is certainly welcome.” Originally budgeted at just under $1.3 million, $911,000 has been spent on recycling. Next year’s estimate sets the cash just shy of the $1.3 million mark. 2018. January 18. It will take about two weeks for the island’s newest bus to hit the roads, a government spokesman has said. He added that the vehicle, which was brought in on the Oleander container ship on Tuesday, was cleared by Customs and handed over to the Department of Public Transportation. The spokesman said: “It takes about two weeks for a new bus to become fleet-ready through in-house preparations after being cleared by Bermuda Customs and licensed by the Transport Control Department.” He added that the engine and chassis for the new bus was procured from MAN Truck & Bus Company in Germany. “It was then built by MOBIpeople, a company located in Coimbra, Portugal. The new bus looks similar to the 2014 series but has quality improvements, many of which were through feedback from DPT staff, and some, through recommendations from MAN and MOBI. The new buses have room for 39 passengers, up by one on the older models. There is also improved air-conditioning and lighting and a better bell system. 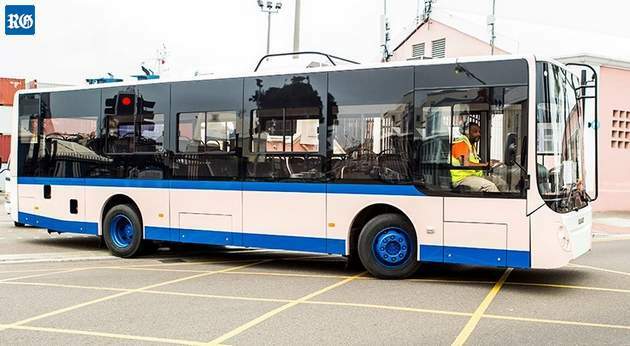 Other improvements include more access compartments for vehicle maintenance.” The spokesman said members of the DPT’s technical team traveled to Portugal to inspect and approve the bus. And he added that the DPT “expects to take possession of three more buses by early May, if not sooner”. 2017. March 13. The Government will be looking to invest in greener buses, said Grant Gibbons, Minister of Economic Development. Responding to questions by the opposition during Friday’s budget debate, Dr Gibbons told the House of Assembly that an RFP is set to go out in the near future for electric, hybrid or LNG-powered buses as the government seeks to improve the ageing fleet. The comments came after shadow transport minister Lawrence Scott questioned government if it would look at electric buses rather than the typical combustion vehicles, which could be better for Bermuda’s roads and more cost-effective. “Maybe as a country we would try to set the goal of taking advantage of hybrid and electric public safety vehicles,” Mr Scott said. “We could reduce the overhead, as fuel is one of the biggest expenses of the PTB.” He added that electric/hybrid vehicles have a longer useful life, and that cost savings can be used to retrain and retool employees. Mr Scott made several other suggestions to improve the island’s bus system, including revising the bus schedule, but Dr Gibbons responded: “It’s much easier to make these suggestions than it is to get them to take effect.” Dr Gibbons said hopes of introducing a new bus schedule last year were dashed after the proposed revisions were rejected by the Bermuda Industrial Union. “There has been an effort to revise the bus schedule since 2001, 2002. We thought that we had on the table a new schedule that would be accepted. Unfortunately that new schedule was rejected by the union so we are back to square one.” Dr Gibbons said that four new buses are expected to arrive on the island later this year and Government had budgeted the purchase of another ten vehicles in 2018. He noted that in addition to the $2.5 million allocated for buses in the 2017/18 budget, money was allocated and saved last year for the same purpose. Dr Gibbons also revealed that recruitment efforts “have commenced in earnest” to hire 20 additional bus operators. “Further, internal training is under way to fill three traffic supervisor positions,” he said, adding that these positions are expected “to drastically reduce overtime costs for the operations section”. He also commented on a recent incident in which a bus carrying schoolchildren burst into flames in Warwick, saying the vehicle was 15 years old. “We have said that there is a sister bus, which was taken off the road after the incident. Clearly the PTB is very concerned about public safety. I’m sure there will be a very careful look at the safety issues involved.” Dr Gibbons was also questioned about the island’s ferries, particularly the Government’s use of the Millennium, which is set to conclude this year. 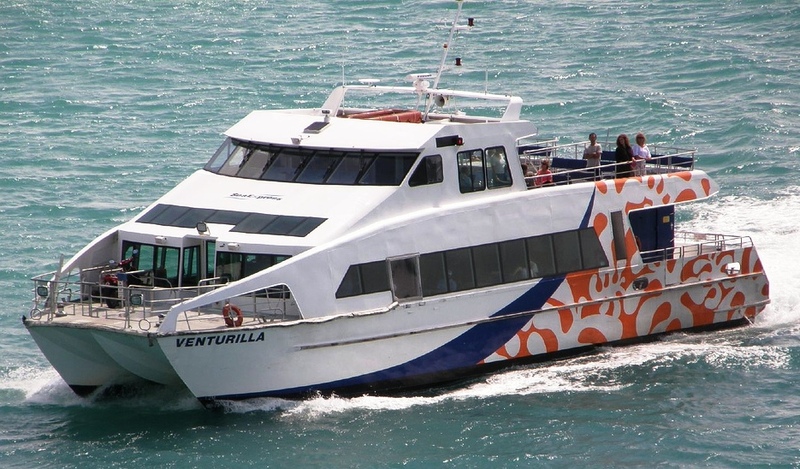 While Zane DeSilva and Dennis Lister questioned if it would not have been more efficient for the Government to have bought a new ferry four years ago instead of hiring the Millennium for $1.2 million a year, Dr Gibbons responded that the money simply was not available at the time. “A new ferry would have cost $8 million,” he said. “The issue is should the government have four years ago bought a new ferry for $8 million? When the current government took over the capital funds to buy a new ferry simple were not available. We understood that we needed this transport between St George’s and Dockyard.” And on the subject of new ferries, he said he believed the Department of Marine and Ports may prioritize the purchase of a new tug, giving the existing vessel’s age and the increasing size of visiting cruise ships. Another topic broached by the opposition was the cost of revenue guarantees with the airlines that visit the island, with PLP MPs, including Wayne Furbert, suggesting that the guarantees — which can cost the government millions annually — were under-budgeted, giving a falsely rosy appearance. While Mr Furbert said he knew of one such guarantee that had cost the government more than $3 million, Dr Gibbons said that the guarantee mentioned was made by the former administration. “It’s important to point out that WestJet had been paid something in the order of $3 million. That goes back to 2012 and what we learnt since then was that it was an open-ended agreement with the former government. Now they are capped. With that airline, it is capped at $1 million.” However, Dr Gibbons accepted that there would likely be supplementals in the area of revenue guarantees as one agreement was signed too recently to be included in the budget. “The most recent revenue guarantee was only signed a month ago, so it is not in this budget,” he said. Carriage drivers, most of whom wear pith helmets in the summer, are required by law to have a rate card posted in the vehicle. They are expensive. Ask for fares and an informative spoken guided tour. Horses in the City of Hamilton must wear diapers. These are very slow moving vehicles so try not get one during rush hour traffic times as they will hold up traffic. 2018. July 25. The ferry schedule for the Cup Match period announced. The Department of Marine and Ports Services said that the fast ferry service would operate on Thursday, August 2 and Friday August 3: The blue route will operate on the weekday schedule between Hamilton and Dockyard, beginning in Hamilton at 7.10am. The last departure from Hamilton is 8.30pm. The orange route will operate on the weekday schedule between Dockyard and St George’s. On Thursday, the first departure from Dockyard will be at 9.30am. The departure from St George’s will be at 5.45pm. On Friday, the first departure from Dockyard will be at 9.30. But the last departure from St George’s will be at 3.45pm. The pink route will operate on the public holiday schedule between Hamilton, Paget and Warwick, starting from Hamilton at 10am. The last departure from Hamilton is 6pm. There will be no service on the green route on either day. For more ferry scheduling information and alert notifications visit www.marineandports.bm. Bermuda ferries conform to rigid standards of ferry construction by Lloyds Register of Shipping. They meet USA environmental standards, have low-emission diesel engines, low noise, low wake, sewage holding tanks, wheelchair access, comfortable cushioned seats and a concession stand for coffee, tea, soft drinks and food. 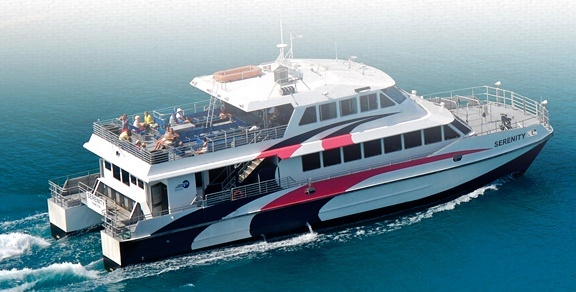 The Ferry Service is operated by the Bermuda Government's Department of Marine and Ports. Phone 295-4506. These relaxed sea routes are unequalled, a superb sea or harbor crossing in unrivalled scenery, much better than going by bus on overcrowded and perpetually noisy roads. They are far more ecological than a bus, with daily or weekly or monthly passes included in the same price as the buses, and far less expensive than a taxi. The only extra charge is for cycles or mopeds. All places to stay, cruise ships and the ferry terminal have copies of the ferry timetable at no charge. Most, but not all, ferries have covered lower-deck seating accessibility for the disabled. The high season 2017 Summer schedule (see above) now applies. From Hamilton, they serve Paget, Warwick, Somerset and Dockyard on a varied daily basis (see timetable) and St. George's on Wednesdays and Thursdays from April 18 through November 2 only). They do not operate when the weather is too windy. The ferry service’s Green Route serves Waterford Bridge and Cavello Bay and Rockaway stops. The Pink Route is mostly used by the locals and office goers. The Orange Route ferry service that caters to St. George is seasonal - usually does not operate during the winter (i.e. mid November to mid April). There are numerous occasions during the Cruise Ship season when large cruise ships together carrying more than 3,500 passengers are in the same Bermuda port (for example, Dockyard) at the same time, for up to three days. Cruise ship passengers should note the times of the ferries especially if they wish to be back on board for meals. Accessibility. Unlike the buses, ferries to and from Dockyard and St. George's (see below) can take wheelchairs for the disabled. The Paget to Warwick ferry will take the walking disabled. They also take cycles or mopeds. The Department of Transport operates six high-speed ferries and three harbour ferries, with additional service between Dockyard and Hamilton. Two 25m passenger catamaran ferries ex Gladding and Hearn, Massachusetts, USA (Serenity, delivered March 2002 and Resolute, delivered June 2002) and Pilot Rescue Boat St. David's in October 2011. Two 38m passenger catamaran ferries ex Derecktor Shipyards, Bridgeport, Connecticut, USA (Warbaby Fox in 2006 and J. L. Cecil Smith in 2007. Of the above vessels, Venturilla was named after the first black person in Bermuda, a slave believed to have spent several months in Bermuda, after a shipwreck in 1603). Tempest is named for the storm that led to the colonization of formerly uninhabited Bermuda in 1609. Warbaby Fox, so-named after Charles Hilgrove W. Fox, owner of the Black Horse tavern in St. David’s and a prominent figure in the Eastern County and Cup Match cricket games. The latter ferry has a top speed of 33 knots per hour and can carry 350 passengers. It is powered by four diesel and four water jet engines. Unfortunately, for a combination of reasons but most likely to be the exceptionally high salinity of Bermuda's waters, all the above-mentioned vessels, still quite new - purchased after 1998 - have had major problems. 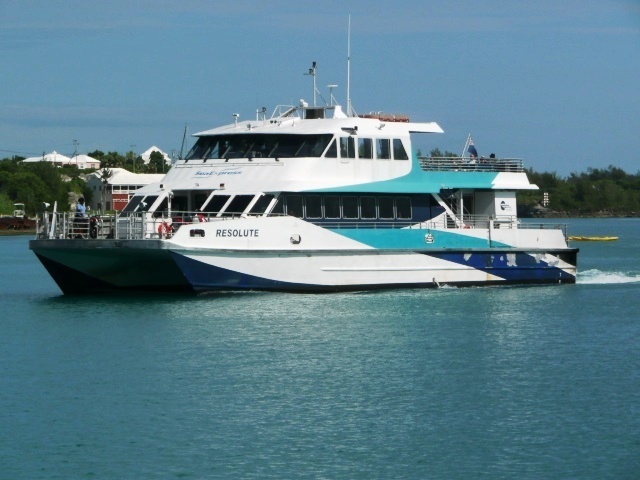 Consequently, since May 2013 and presently until the end of the 2017 season, the Bermuda Government has spent millions of dollars to charter the 400 Passenger Fast Ferry Catamaran "Millennium" from Rhode Island Ferries. She was chartered to help with passengers on mega-cruise ships now serving Bermuda each carrying thousands of passengers and to provide larger ferry service from Dockyard to St. George's. She is the largest ferry to date in Bermuda. This web site explains why Bermuda one of the most expensive places in the world for locals and visitors in gasoline costs. It is more than double the price of gasoline anywhere in Canada and the Caribbean, higher since April 1, 2016 than in the UK and more than three times the price of the USA, due to a recent hike in local taxation. None now. There was one in the 1990s. Horse riding stables are not in a municipal area. There are approved routes in a number of areas. But horse riding is NOT allowed on the beaches. Qualified instructors are available, offering lessons for the inexperienced. When on a horse, be sure to avoid the constantly busy and noisy main North Shore, Middle Road and South Roads. None. No Bermuda hotels are allowed by government to have airport shuttles, despite requests from hotels to be allowed to operate such vehicles. Bermuda is one of the very few places in the world that will not allow this. The only hotel shuttles allowed are those connecting some hotels to their private beaches. However, some hotels and guest houses work around this by privately arranging with individual taxi operators or taxi businesses to pickup and deliver their guests from/to the airport. The Bermuda Government created in June 2006 a new category of public service vehicle. It is known as a limousine, borrowed in name but not in style or size from limousines common overseas. It does not refer to a stretch-limo vehicle - not allowed in Bermuda - but can be a larger automobile car or former taxi. A number of limousine licenses have been issued, with some taxi drivers having exchanged their taxi permit to become a limousine operator. Privately owned. They offer pickups, transportation and special tours. A potentially good option for individual or group tours going to specific places. 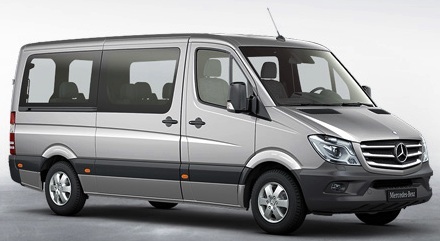 Mini-buses can go where public transportation buses don't go, and/or at more convenient times and/or offer a more tailored and personalized service for smaller groups, at less cost than for taxis. Ricky's Island Tours and Minibus Service Ltd, phone (441) 703-3659 beyond Bermuda or 703-3659 in Bermuda, email rb@rickysminibus.com or Skype rickysislandtours offers a Monday-Saturday 9 am to 5pm service, of particular appeal to cruise ship and other visitors. Minibuses are examined, passed and re-licensed annually by the Bermuda transport authority (Transport Control Board), and insured by a Bermudian insurance company. These are not big buses. Instead, they are passenger vans or smaller buses in various sizes. Some can carry up to 27 people. Some can also carry up to two disabled passengers in wheelchairs. The responsibility of the Ministry is to manage and regulate transportation in Bermuda, including the airport, weather services, buses and ferries. 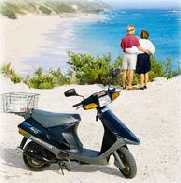 See under "Motor Cycles" in Bermuda Road Transport for Locals." Not mentioned here because, like cars, they cannot be driven by tourists. There are more than 550 in Bermuda. Sizes and types of vehicle. Most taxis are now minivans which require a foot-high step-up, fine for the sighted non-disabled but not for the disabled or mobility-impaired. A small number can take a wheelchair. Under The Motor Car Amendment Act 2005, drivers of the Island’s 600 cabs - equivalent to 28.57 taxis per square mile - must be “appropriately equipped” - meaning having a two-way radio set; a mobile data terminal; a global positioning device; and an alarm device, approved by the Bermuda Government's Minister of Transport. They must be examined, passed and re-licensed annually by the Bermuda transport authority (Transport Control Board), and insured by a Bermudian insurance company. Taxis are imported at a low Bermuda Government import duty rate of 10% compared to more than 100% for some other automobiles. There are often not enough taxis to meet seasonal demand from arriving or departing passengers. For taxi drivers, the busiest time of year is when cruise ships are in port - from April to October. Some taxis are larger than others, the smaller ones for 1-4 passengers and the largest for 5-6 passengers and their luggage. Most arriving passengers do not need to make a reservation at the airport or cruise ship terminal but if you take a taxi for sightseeing and/or to leave Bermuda from your hotel, make a reservation each time with a taxi service (there are several (see below). A blue flag fluttering from the taxi's bonnet signifies the driver has qualified as a tour guide. Residents and visitors should not plan on being able to get a taxi to go anywhere on Christmas Day or New Year's Eve. All taxi drivers are self-employed. The condition of any person taking the taxi is a factor. If drunk or disorderly or unruly, a driver may refuse to take or continue to take passengers. Each taxi has a GPS satellite-navigation system. In late 2003, they were increased in maximum length and width to 210 inches long and 77 inches wide. Limits to engine capacity have been eliminated, to make way for luxury vehicles such as a Mercedes Benz taxi. Any taxi owner wishing to replace the taxi with a wheelchair accessible one may do so without needing approval from the Public Service Vehicles Licensing Board, but they are not allowed to charge wheelchair-disabled passengers any more than able passengers. However, if disabled and in a wheelchair be sure to ask if the taxi can take both an electric wheelchair and a manual wheelchair or just one or the other. Some taxis are not equipped to take both. Rates are required by law to be the same for both able passengers and disabled passengers in a wheelchair. Most taxis use a GPS system. There is a Taxi Owners and Operators Association. There has been debate on whether Uber, a ride-sharing network using mobile devices, or another taxi alternative should be allowed to operate in Bermuda. An Uber-style service could hit cab drivers in Bermuda or put them out of work, as it has done overseas. Presently, there is no central dispatch service to organize the operation of the 600 licensed cabs on the island. Bermuda at present has the Island Taxi Service, BTA Dispatching and taxi booking app Hitch. There has been online confusion between Bermuda’s Hitch and an Uber-style service. Hitch is a mobile app that has created some problems for some. All taxis are inspected twice a year and owners pay an annual license fee, with no Sunday Permit extra. All are insured, with visible taxi signs and meters. Most taxi drivers are not owners of their taxis. Owners must register with a taxi dispatch company, but have a choice in which one. Taxi fares are always in USA or Bermuda dollars. A prime purpose of the GPS system is to reduce the wait time for a taxi called by telephone to no more than 15 minutes. All taxi drivers have a 2-way taxi radio. Taxis are all right hand drive, with sliding doors on the LEFT side, in conformity with Bermuda's LEFT SIDE, so passengers can enter and exit safely instead of having to face oncoming traffic. Costs of taxis. They are generally referred to as taxis, not cabs, in Bermuda. A number of local taxi companies operate, private entities but government-regulated. In the past, their voices of dissent have been the single biggest major reason why rental of automobiles/cars was never allowed in Bermuda. Only in 2017 are some very small 2-seater only electric vehicles finally going to be allowed, primarily because of the massive global publicity Bermuda will get as the host of the 2017 America's Cup. Credit Cards. More than 50 taxi operators have adopted credit card technology through a promotion put together by the Bermuda Tourism Authority, the Ministry of Tourism and Transport, the Bank of Butterfield, Mastercard and Spectropay, offering a year of free service. Card readers are able to accept payments via chip and pin, swipe or “tap and go” technology and, using a mobile phone app, the funds are transferred into the taxi driver’s bank account within two business days. While operators would usually be required to pay a monthly fee for the service, that fee will be waived for a year through this programme, after which the operators can decide if they want to continue accepting cards or not. Taxi fares are currently split in to two groups: For 1-4 passengers and for 5-6 passengers. Presently, for 1-4 passengers, taxi fares cost $8.00 for the first mile and $2.80 for each additional mile, based on a taxi charge formula set by Bermuda's Transport Control Department (TCD). A tourist traveling to, or from, the airport to the Fairmont Southampton on a weekday will now pay about $47 plus luggage charges for an approximately 15-mile journey. This does not include a tip, of between 15 percent and 20 percent and the cost of luggage, which is charged at $1-$4 per piece depending on size. The cost increases by 25 percent on Sundays, public holidays, and after midnight. For 5-6 passengers in a single taxi the costs are higher, $10 for the first mile and $3.50 for each additional mile, plus luggage charges. All taxis are required to be registered with a taxi dispatching service. Taxi fares are very expensive in Bermuda for two main reasons, the first being the cost of gas (diesel or petroleum), at about $8.50 a gallon in July 2014, compared to about $2.20 a gallon in July 2014 in most of the USA. The second reason is that unlike in the USA, from where 85% of all Bermuda's tourists come, the average 2014 salary of a Bermuda taxi driver is over $60,000 a year and only Bermudians, not any non-nationals, are allowed to own and/or drive taxis. There are two major routes from and to the airport from Front Street, Hamilton and further west. One via the North Shore Road, the other via the Middle, South and other roads via Harrington Sound. Taxi drivers, who have GPS and know traffic conditions at that particular time, know which route to take to get passengers there quickest. There may be some small difference in taxi fares depending on traffic conditions. Only full-time residents who know the roads well can usually tell whether one way for them is preferred to another. If you know Bermuda well and live or are visiting a central or western parish, it is suggested you tell the driver, before you start your journey, which of the two routes you prefer. Seat belts. Since 1 January 2004, under The Motor Car Act 1951 and Motor Car (Seat Belts) Regulations 2002, seat belts are required. Adults sitting in the front seat must wear a seat belt. Adults in the rear seat are not required to do so. Children from birth to one year and up to 20 lbs in weight must be in a rear facing seat. Children from 30 lbs to 40 lbs must be in a forward-facing child seat. Children from 40 to 80 lbs must use a seat belt positioning device or booster seat. All children are safest in the back seat. The driver of the vehicle is legally responsible for ensuring compliance and may be fined for non-compliance, but the law does not seem to be clear on who must provide booster seats or special child seats for young children. To be on the safe side, parents using taxis for their young families should bring their own. If they do not, so as not to risk being liable by default, taxi drivers may not wish to take them. Occupants 18 and older are legally responsible for themselves. Non-compliance otherwise attracts a fine of $2,100 per offence. The relevant regulatory price-approving agency is the Bermuda Government's Public Service Vehicle Licensing Board (PSVLB).